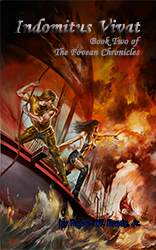 Lauren Scharhag: The Fovean Chronicles: an epic fantasy series by Robert W. Brady, Jr. 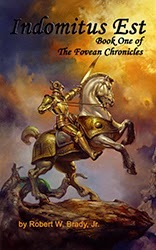 The Fovean Chronicles: an epic fantasy series by Robert W. Brady, Jr.
My guest author today is navy veteran Robert W. Brady, Jr., a dedicated animal rescue volunteer. 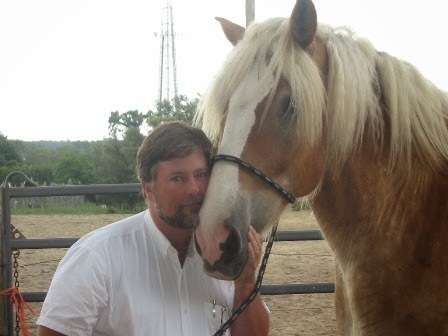 Living on a Tennessee farm, he personally rescues and rehabilitates dogs, cats and horses. 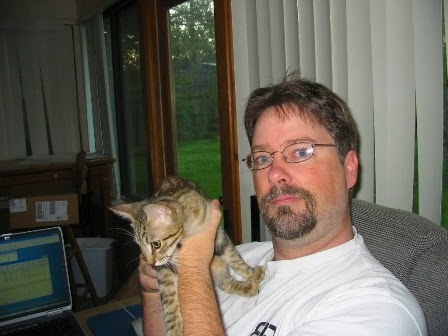 A portion of all his book royalties go to benefit animal rescue programs. 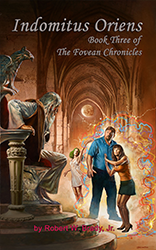 The Fovean Chronicles is the story of a man from our world, drummed out of the naval nuclear power program, who finds himself the instrument of a god named War from another reality where magic is real. Randy has just one instruction: be successful, and the pain that only a god can inflict on him to motivate him. Randy is finding his way through a magical world, equipped with technology and with the history of Earth. He's trying to find his way and keep War from revisiting the pain on him, and maybe even have a life along the way. My world went red, righteous tears were already flowing from my eyes. Those bastards had killed my wife – my wife and child! No, nothing mattered now expect that every last one of them had to die. I let it boil in me for a moment, let it fester, tasted it. My skin prickled from the tips of my toes to my fingers. Like a real wolf raising its hackles against an enemy, except that the real wolf just wanted to survive. Dilvesh’s mind tried to withdraw from mine, seeing nothing that he could do to help me. I held him cruelly, not even knowing how I could do such a thing, as I spurred Blizzard forward. Dilvesh had argued for Shela to stay, let him witness my death as his own. Blizzard leapt from the ground into the forest, my lieutenants ordered the attack as I left them standing. I didn’t much care if any of them followed me or not. The odds remained about eight thousand Confluni to one of me, but that didn’t bother me. No way would I live through this. About Robert W. Brady, Jr.
Robert W. Brady, Jr. was born in Connecticut. As a college student, he worked a series of odd jobs including construction worker, infant swimming instructor and model, to name a few. 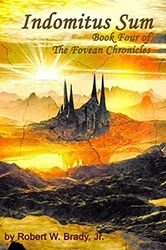 He also began the first version of The Fovean Chronicles before graduating from the University of Connecticut in 1986. After college, he enlisted in the Naval Nuclear Power Program, where he served for seven years and was awarded the Navy Achievement Medal, the Armed Forces Expeditionary Medal, the Southeast Asia Service Medal, and Good Conduct Medal during the Gulf War. He was certified as an Enlisted Surface Warfare Specialist, a Reactor Operator, a Radiological Controls Shift Supervisor and achieved a rank of Petty Officer First Class while serving onboard the USS Truxtun, CGN-35 and the USS Cape Cod, AD-43. Since leaving the Navy, he's been in sales, pest control, auto repair and .NET programming. He ran his own company specializing in add-on software and then sold it to focus more on his writing. He has two children, Billy and Jennifer. Although born in Connecticut, he has lived in Orlando, FL; Bremerton, WA; and San Diego, CA. He currently resides on a horse farm in Tennessee. Thanks for reading! As always, please feel free to leave questions/comments for Robert below. If you like fantasy, check out these authors: Richie Earl, Vanessa Finaughty, G. Russell Gaynor, Dani Hoots, Dana Journey, Katy Krump, Bryan O'Neill, T.C. Southwell, and David Temrick.